Post Production Consultant. “Decoding the Driftless.” Shot on high definition video, edited with Adobe Premiere Pro CC. Runtime: 60 minutes. 2018. Winner for Best Picture and Best Cinematography in the Documentary Feature category by the Los Angeles Independent Film Festival Awards. Official selection of the Flyway Film Festival, the Driftless Film Festival, the Frozen River Film Festival, the Oneota Film Festival, the Cape May Film Fest, and the Julien Dubuque International Film Festival. 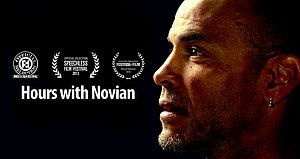 Producer (with Novian Whitsitt). “Africa: Not A Single Story.” Shot on high definition video, edited with Final Cut Pro. Runtime: 16 minutes. 2017. Producer/Director/Editor. 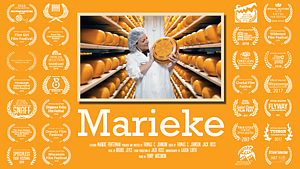 “Marieke.” Shot on high definition video, edited with Final Cut Pro. Runtime: 7 minutes. 2017. Winner for Best Documentary at the Iowa Motion Picture Association Awards. Official selection of the Tucson Film & Music Festival, the Lake Charles Film & Music Festival, The Block art & film festival, the Flyway Film Festival, the Twin Cities Film Fest, the St. Cloud Film Fest, the Weyauwega International Film Festival, the CineSol Film Festival, the Oregon Short Film Festival, Iowa Public Television’s “The Film Lounge,” the Wildwood Film Festival, the Colony Short Film Festival, the Royal Film Festival, SHORT to the Point, the Wisconsin Film Festival, the Speechless Film Festival, the Oneota Film Festival, the Chippewa Valley Film Festival, the Snake Alley Festival of Film, the Interrobang Film Festival, the Pittsburgh Independent Film Festival, the Square Lake Film & Music Festival, the Iowa Independent Film Festival, the Sioux City International Film Festival, the Maumee Film Festival, the Film Girl Film Festival, the Fresh Coast Film Festival, the Eau Claire World Film Festival, the East Lansing Film Festival, the Big Water Film Festival, the Muscatine Independent Film Festival, and the First Friday Film Festival – Kansas City, the Door County Short Film Festival, and the Film as Idea, Film as Film, Film as Art International Film Festival. Additional screenings at the Oneota Community Food Co-op, HyVee Corporate, and the Decorah Rotary Club. Writer/Director/Editor (with Neal Abbott). 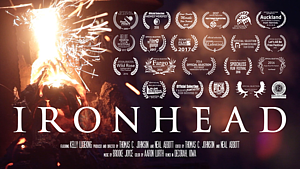 “Ironhead.” Shot on high definition video, edited with Final Cut Pro. Runtime: 9 minutes. 2015. Honorable mention for the Walter Ordway Best of Fest Award at the Oneota Film Festival. Official selection of the Yellowknife International Film Festival, the Milwaukee Film Festival, the Fargo Fantastic Film Festival, the Liverpool Lift-Off Online Film Festival, the Frozen River Film Festival, the Speechless Film Festival, the Red Wasp Independent Film Festival, the Fargo Film Festival, the Wild Rose Independent Film Festival, the Let’s All Be Free Film Festival, the Greenwich Village Film Festival, the Kansas International Film Festival, the Sioux City International Film Festival, Iowa Public Television’s “The Film Lounge,” the Beloit International Film Festival, the Auckland International Film Festival, The Block art & film festival, the First Friday Film Festival – Kansas City, the MidWest WeirdFest, the Deep in the Heart Film Festival, and the Fresh Coast Film Festival. Semi-Finalist at the Meraki Film Festival. Additional screenings at the White Bear Center for the Arts, the Winneshiek Hotel, Cedar Rapids Houbi Days, the 8th International Conference on Contemporary Cast Iron Art, Bethany Lutheran College, Independent Lifestyles Live Stream Studio, the Decorah Rotary Club, the St. Paul Art Crawl, and the Mid-South Sculpture Alliance Conference. Writer/Director/Editor (with Michael Crowe). "Hours with Amanda." 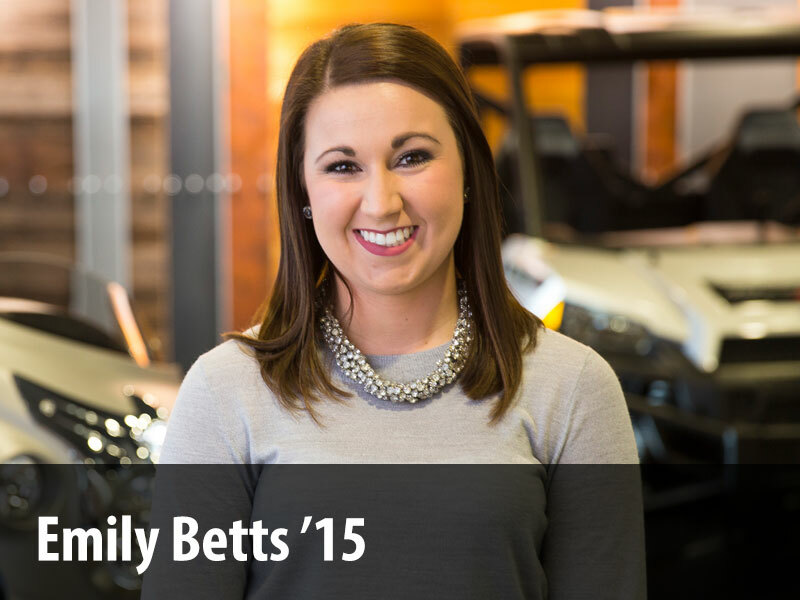 Shot on high definition video, edited with Final Cut Pro. Runtime: 5 minutes. 2013. 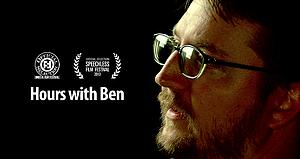 Official selection of the Oneota Film Festival, the Speechless Film Festival, and the Mt. Hood Independent Film Festival. Writer/Director/Editor (with Michael Crowe). "Hours with Ben." Shot on high definition video, edited with Final Cut Pro. Runtime: 5 minutes. 2013. Official selection of the Oneota Film Festival and the Speechless Film Festival. Writer/Director/Editor (with Michael Crowe). "Hours with Novian." Shot on high definition video, edited with Final Cut Pro. Runtime: 5 minutes. 2013. Official selection of the Oneota Film Festival, the Speechless Film Festival, and Louisville’s International Festival of Film. Writer/Director. "Order in Chaos." Shot on DV, edited with Final Cut Pro. Runtime: 17 minutes. 2002. Debuted at Fashion Institute of Technology. Producer/Director. "Sons of the Road." Shot on DV, edited with Final Cut Pro. Runtime: 22 minutes. 2001. Finalist for Best Documentary at the Movie Gallery Student Video Competition, Auburn University, and Winner for Best Documentary at the Georgia Tech Cable Network Film and Video Festival. Thomas C. Johnson maintained by huintr01. Page last updated on 15 April 2019.